WE DID IT. WE GOT MARRIED. HITCHED. TIED THE KNOT. all that good stuff. It's no secret that I married my best friend last month. Maxim and I got married ON OUR BIRTHDAY (May 20), which, to be honest, was so weird but so right at the same time. When it came to the wedding itself, though, a very wise man (and dear friend) told us that the best wedding he ever went to was his own. "It's my favorite party I've ever been too," he said. And that stuck with me. 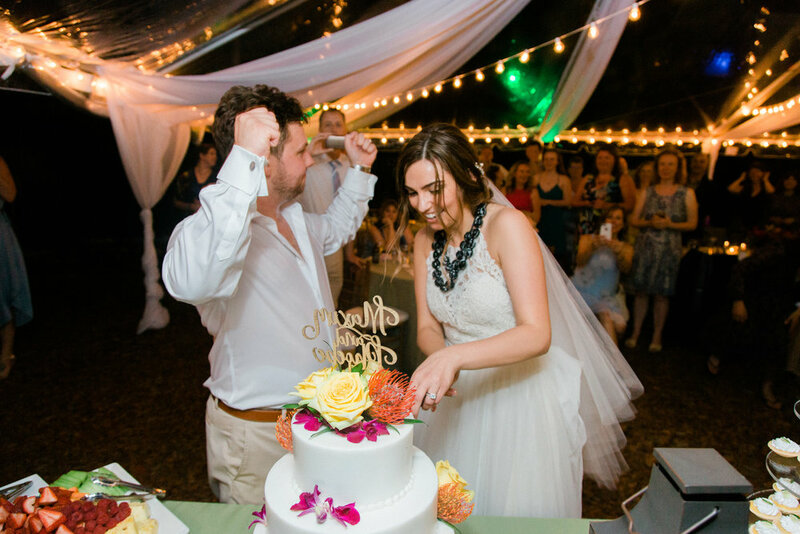 We wanted our wedding to be totally 100% ours in every way possible. We threw tradition to the wind (kind of), and thankfully my incredible parents just went along with it. 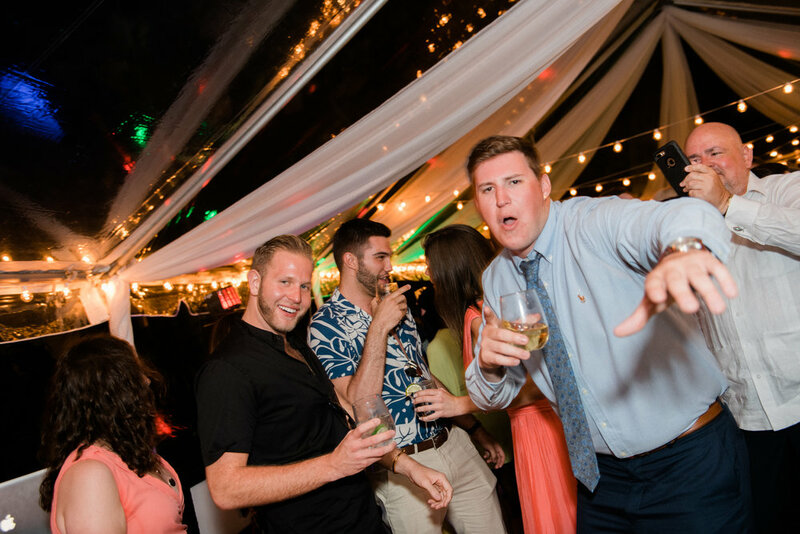 And now, looking back at these photos, it really was the BEST wedding we've ever been to. It was our favorite party. It was perfect. This is our ring bearer, Jules. His dad is the reason that Maxim and I met. DID YOU FOLLOW ANY TRADITIONS? Yes, we did, and we didn't. Once we got down to Key West (we arrived about 5 days before), Maxim and I didn't stay in the same room. But we obviously lived together before getting married. 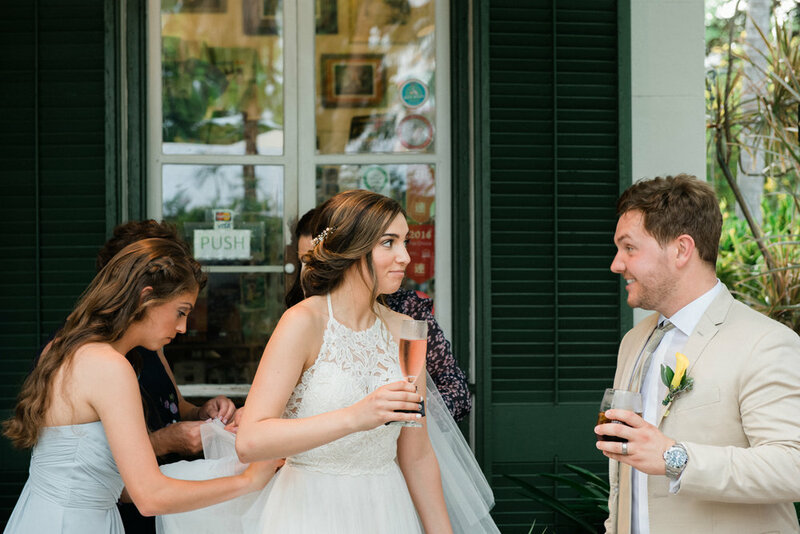 We didn't see each the day of the wedding either — not until I walked down the aisle (!) 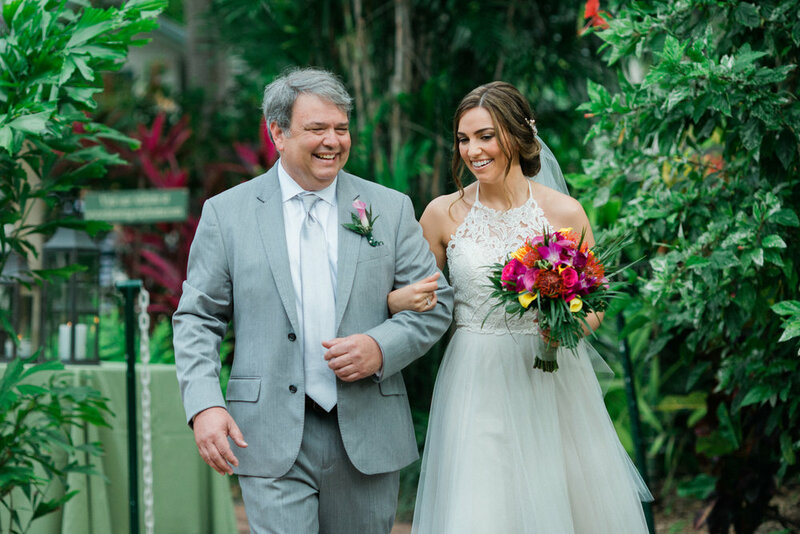 My dad had to keep me calm as we walked down the aisle, since I was almost certain I was going to faint midway down. I wore a veil, but I didn't wear it in front of my face (mostly because my dad and I forgot!). I had something old, something new, something borrowed, something blue. It rained on our wedding day — but only in the morning! It cleared up for the ceremony and reception. I'm not taking Maxim's last name. Maxim did not carry me "over the threshold." We had a wedding topper, but it was a golden carved name plate. 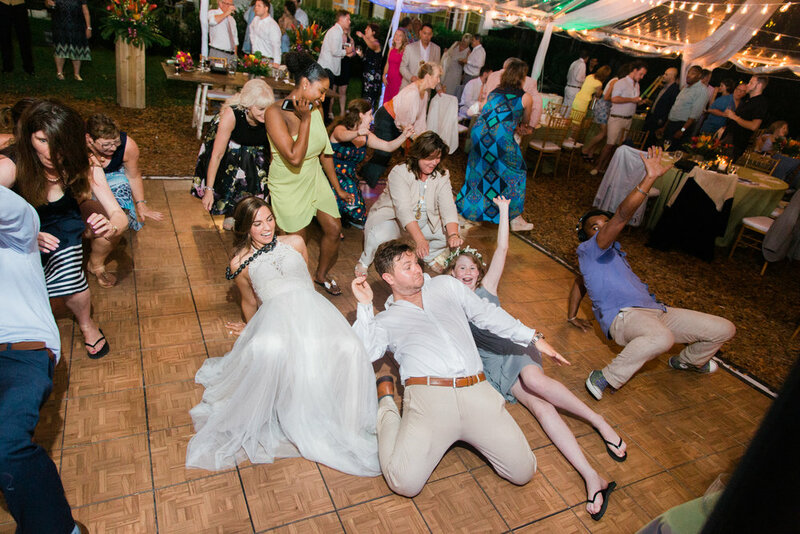 We did not do a bouquet toss or a garter toss / removal. & we wrote our own vows. We didn't read them before, but they ended up matching (leading everyone to believe we DID read each other's before). My dress is from BHLDN — and I found it on my very first time shopping for wedding dresses. My aunt and grandmother were in town for my sister's graduation, and we thought we'd go check out the store to see what they had. We were beginning our search. I didn't even like any of the dresses I was trying on. But then our assistant brought me a dress. "Just try it on," she said. "You don't have to love it, just try it on." And that was that. I walked out, beaming, glowing and feeling absolutely perfect. It was everything I wanted. Not too white, simple, something to show off my shoulders without being strapless, tulle bottom without being "puffy." A couple months before the wedding, we went to a little mom & pop alterations store, Fashion Dream, in Arlington. They worked absolute MAGIC on my dress so that it fit like a glove no matter what circumstances we were under. In the morning, I was hysterical because the thunderstorms were very intense, there was lightning and thunder, and I couldn't go for a run because it was too dangerous. By the time the storm cleared, hair and makeup had arrived so I couldn't go anywhere. The A/C in the bridal suite broke (remember: post-thunderstorm mugginess in Key West) and the heat was so unbearable. The management of the hotel brought in a lot of fans and set up another room for us to move to, but I didn't want to move so I just sucked it up. Right before we had to leave, I realized I couldn't find my (handwritten) vows. I had spent all morning writing them out, and they were lost. My junior bridesmaid was the sweetest and had the hotel print them out for me. And then I lost them again, and she had to have more copies made. I was COVERED in mosquito bites from the rehearsal dinner the night before. I'm allergic (ish) to them, too, so they swell up really badly. My dress was an open back and I was FREAKING out to my parents. And anything else that went wrong I don't know about (thankfully). But the important thing is that the day was OUR day — and no one could take that away from us. And we were honestly SO LUCKY because what DID go wrong was so small that it didn't really matter. The details, the big picture, the photos, the vows, the food, the dancing, the weather — all of it was absolute perfection. catering : great events catering (we had a completely vegan wedding apart from the main course, which had two non-vegan options). band : steel drums for the ceremony & cocktail hour with bongo d.
When everyone asked about our color scheme, I said, "neutrals on people, pops of color everywhere else." And thank goodness for Peter, our florist and designer, because he just ran with it. 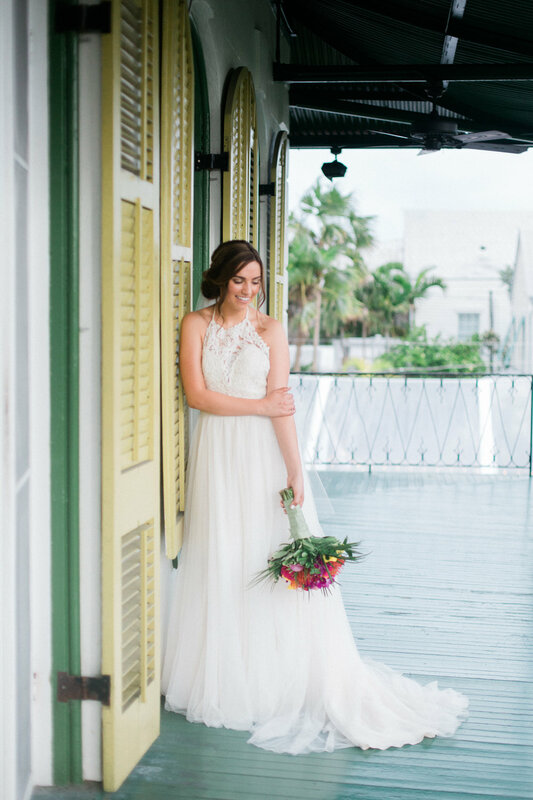 The flowers were tropical bursts of color that contrasted perfectly with the honey chairs, neutral-colored dresses and blended seamlessly with the tropical foliage at the Hemingway House. I designed all of the paper goods after failing to be able to find anything that I loved, and had it all printed through Vistaprint (shoutout to Roger & Kathleen for letting us ship everything to their house!). For the ceremony, we turned our wedding programs into fans. And the crazy talented Riley of Make Things Co. designed our welcome sign / welcome postcard. As for the table set ups, we did a combination of tea lights, dark grey lanterns and colorful lanterns. The green table cloth came from Peter — and I was so back and forth on it, but I ultimately loved it. Also note that we opted for rosé champagne (#RoseAllDay). On a side table, we had wedding mad libs and a giant jenga instead of a guest book. And as favors at the wedding, we gave out mints and mini bottles of mosquito spray. And during the reception? We had a huge basket of flip-flops for people to take for dancing. Obviously I utilized that. YES. And no. All of the drinks, appetizers, desserts and salads were vegan. Our wedding cake was definitely vegan. But for the main course, we had a fish and a chicken option. Everything was ethically sourced, which was crazy important to me. And when possible, the caterers used locally sourced ingredients. HOW MANY BRIDESMAIDS DID YOU HAVE? Technically, none. 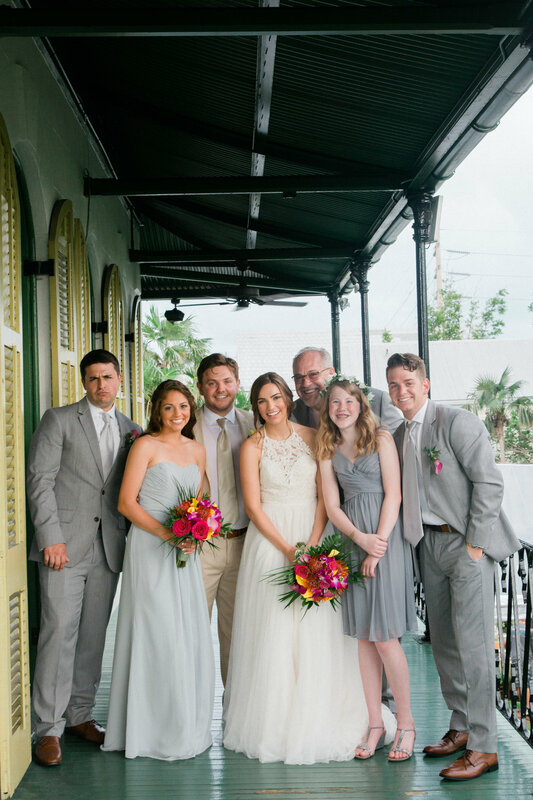 We wanted to keep our bridal party very small and intimate. We had a maid of honor, a best man, a junior bridesmaid and a ring bearer. WHAT ARE THOSE BEADS YOU AND MAXIM ARE WEARING? They're Fijian ceremonial wedding beads. My mom's cousin brought them to the wedding and put them on Maxim right after the ceremony.